Nick Saban is not an efficiency expert. 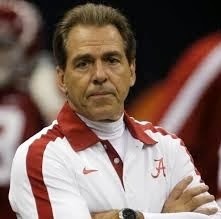 He is the head football coach of the University of Alabama. consultant. 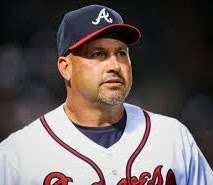 He is the manager of a professional baseball team, the Atlanta Braves. On the surface it appears the two men do not have a lot in common. Two different sports. Two levels of play. One coaches young men who are still attending school. The other manages men, some young, some not so young, who have left school and are living their dream, or some portion of it. There is a less-than-obvious connection between the two men - Me. I'm the connection. Before I tell you more about that connection, let me tell you of another commonality the men share. They each lead the most talented group of men to ever play their respective sports, and second, neither of them led their teams to championships this year because of something else they have in common - without going into detail I call that common trait, stupidity-under-fire. Now, back to me, the common connection between the two men. I was a rabid fan of both teams until the manager/coach of each overwhelmed me with stupidity. Even a rabid fan can only take so much. So I resigned my Atlanta Brave and Alabama Football fan commission and walked away from the sports war. To quote Chief Joseph, a man who never heard of either football or baseball, "I will fight no more forever." As soon as I made the decision I realized how much time I've spent watching Gonzalez and Saban mismanage the best athletics in their sports, men I could have taken to the World Series and the BCS Championship game, with one hand tied behind my back. Then I admitted to myself that I would never even meet one of those players, much less coach them, so I took a deep breath and turned away from games I have no control over, redirecting myself to a game I can manage. Saban and Gonzalez, thanks to their stupidity-under-fire, have combined to give me five to eight hours a week to devote to my game - writing. Before accepting their gift, I often fought to find even twenty minutes a day to journal, and suddenly two men who aren't even time managers or efficiency experts have combined to give me almost four hundred hours a years to play my game, and I'm going to use it, every second of it. Look around in the corners of your life. You might find a time manager lurking in recesses of your day - a person who is grabbing an hour or two of your time without you even realizing you've been robbed. Someone who is taking away your game. When you find him or her, take your game back. New Year, New Game, How Will You Play?